This is a three tiered table display. The tiered design of this table display allows you to organize your products for display and provide a simple browsing experience for your customer. 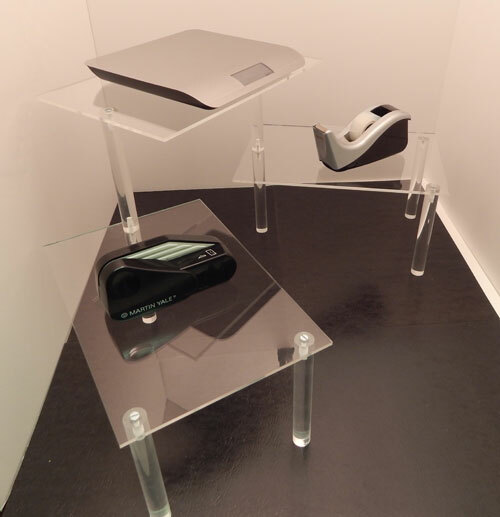 Durability is a non-issue with this display due to the use of high quality acrylic materials for construction. 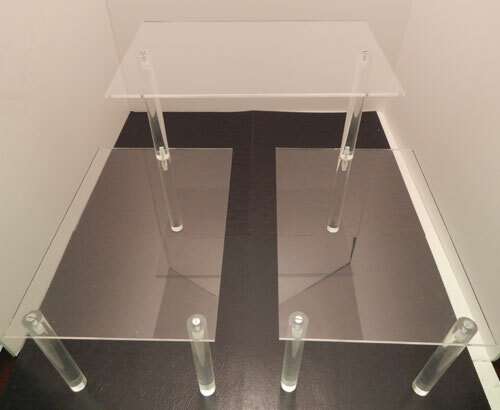 The clear acrylic also means that this display will blend into your current space seamlessly and will not be distracting.